Check out Badger Baths entire collection of stone speck options for your next bath reglazing or countertop resurfacing project. Over 70 premium speck styles and colors to choose from. Click to see the options. Welcome to Badger Bath . We specialize in bathtub refinishing, bathtub cut down conversions, tub liners/ wall system installations and bathtub reglazing and resurfacing. We also offer tile repair and countertop refinishing and resurfacing. Our theory is why replace your bathtub, counter etc. when you can refinish or resurface it for a fraction of the cost and time. With over 14 years of experience refinishing and repairing bathtubs, showers, whirlpools, hot-tubs, countertops and tile repair, we are confident that whatever your refinishing or repair need is, we are able to do it. 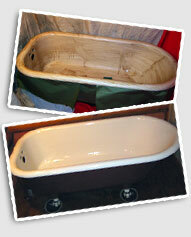 Our countertop repair and bathtub reglazing is a cost effective way to bring new life to your bathroom or kitchen. Badger Bath services all of Southeastern Wisconsin including Milwaukee , Madison , Waukesha and everywhere in between and even some of Northern Illinois . Contact us today for a free consultation or more information regarding your tub reglazing, tile resurfacing or countertop refinishing and repair. Click here to see some of our recent bathrub reglazing and countertop resurfacing projects.See how Badger Bath can refinish your bathtub, tile or countertop for less time and money. Service Area: Southeastern and Central Wisconsin, Including Milwaukee, Waukesha, Madison and all surrounding areas.